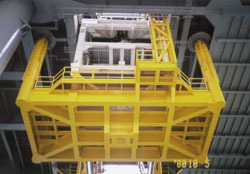 Our commitment is to provide products of the highest quality at competitive prices, we have everything you need for your projects. 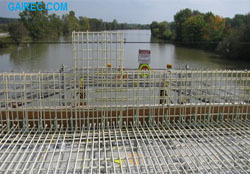 Offering the best cost / benefit of the market. 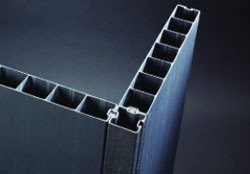 The manufacturing processes comply with ISO 9001-2000 standards. 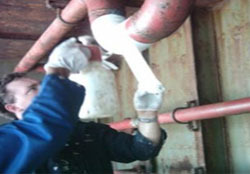 In addition, internal control tests carried out by independent laboratories worldwide are carried out. 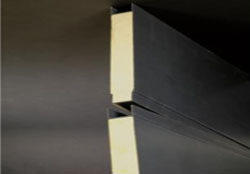 Resistant to corrosion, does not rust, resistant to tension up to three times more compared to the steel rod, does not cause interference in contact with electromagnetic fields or when operating sensitive electronic instruments, it is up to 4 times lighter than the steel rod. 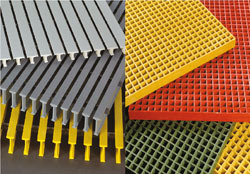 Irving type pultruded gratings can perfectly replace steel or aluminum grilles in corrosive environments. 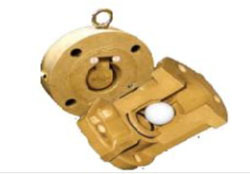 They are ideal for their resistance to fire and for the savings they generate thanks to their low weight and low maintenance. 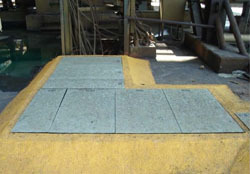 Molded gratings, which can be cut on site to minimize waste. 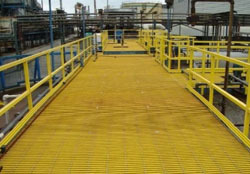 They are manufactured in one piece and have a smooth, concave and non-slip surface, which makes them the ideal choice for the installation of floors resistant to common chemicals in many industrial applications. 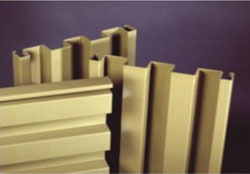 Available in different types of resins and various shapes and sizes to adapt to a wide variety of applications and environments. 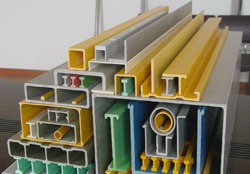 All profiles have a coating that increases their resistance to corrosion and ultraviolet rays and prevents the exposure of internal fibers during use. 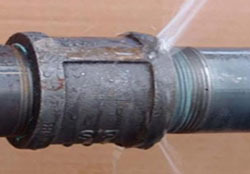 Fiberglass studs and nuts can be used to replace other fastening fittings in applications requiring strong elements, corrosion resistance, low conductivity and / or transparent to electromagnetic waves. 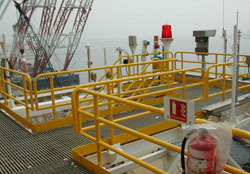 We have systems of glass fiber rails (round and square) and marine stairs, specially designed to be pre-assembled in the factory or for easy assembly on site, which provides many years of service with minimal maintenance and can be easily adapted according to the needs of your project under OSHA safety standards. 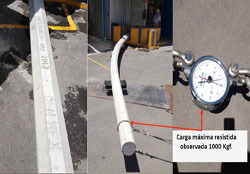 The pipes are manufactured to the highest specifications providing excellent mechanical, physical and thermal properties of high resistance to corrosion. 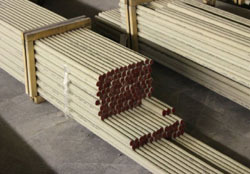 Pipes and fittings range from 25mm to 4000mm in diameter and can withstand pressures of up to 3000 psig. 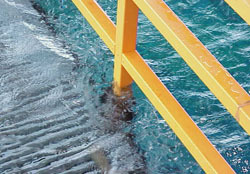 We have pipe leakage prevention and repair systems to provide a quick, reliable and durable solution for a series of emergency situations. 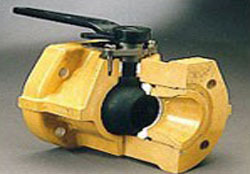 We offer various valve options with different types of resins made of fiberglass and graphite that provide a high level of resistance to acids, caustics, chlorines and other products used in the treatment of waste. 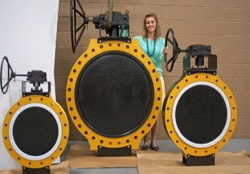 We have ball valves, butterfly, retention, three-way, wafer type valves, and lug among others up to 42 "diameter. 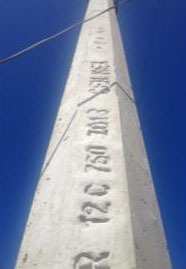 The development of reinforced concrete poles with fiberglass rod was born as a concern to offer a solution of durability in the concrete post. 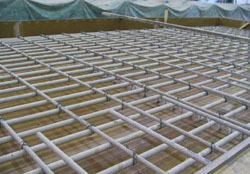 They have high levels of roughness and elasticity; The first feature allows the rods and concrete to have a better grip, the level of elasticity allows the complete post to flex, improving its level of torsion, reducing and eliminating fractures and breaks. 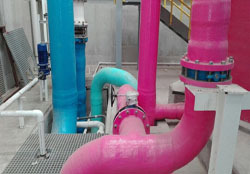 Our pipe leakage prevention and repair systems provide a fast, reliable and durable solution for a variety of emergency situations. 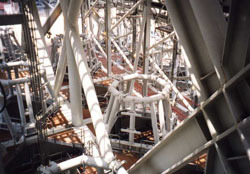 Fiberglass or carbon bands to reinforce weakened and leaking structures can be considered as definitive solutions because they are calculated to restore the structural capacity of the original design. 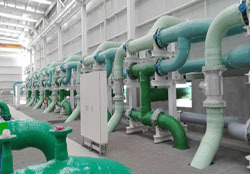 The implementation of the system in much shorter times than traditional replacement or repair represent great savings and profits. 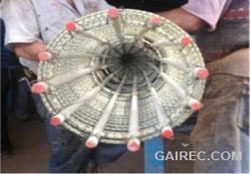 The floor systems of Gairec are resistant to corrosion, to impacts, are easy to install and safe to handle. 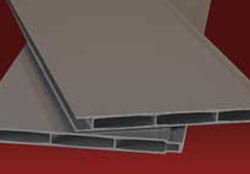 We have different textures colors and thicknesses. 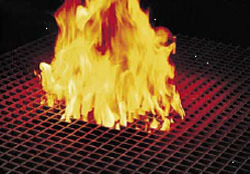 They have properties of retardation to the flame and can be calculated for different types of loads, always maintaining their mechanical qualities. 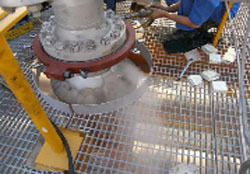 They are a simple and economical solution for slippery surfaces such as those present in cooling towers or for the containment of odors in water treatment plants. 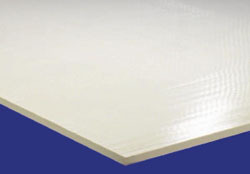 Fiberglass plates are manufactured with multiple layers of fiberglass reinforcements and resins, resistant to corrosion, resistant to chemical attack, easy installation, safe handling. 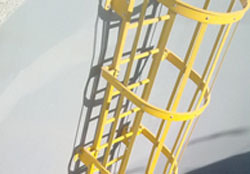 FRP plates are ideal for applications where durability and long service life are essential.